Welcome to the ReachMD series Alzheimer’s Disease: Towards Earlier Detection. I’m Dr. Matt Birnholz. On this episode, Dr. David Weisman, neurologist with Abington Neurological Associates and Director of Abington Neurologic Association's Trial Center, talks about advanced approaches to recognizing the signs and symptoms for Alzheimer's disease. When I see somebody with memory loss, it’s usually either incredibly obvious, they’re complaining, the chief complaint is memory loss, or a spouse is complaining of their spouse being forgetful. So it’s completely obvious. But sometimes it’s not. Sometimes it’s subtle. It can be as subtle as missing appointments. It can be as subtle as really not having any insight into the disease, showing up alone and being very vague with questions about other illnesses. Either way, an astute clinician will recognize that the underlying problem is memory loss. And again, it can be a completely obvious chief complaint. At that point, getting further history – Medicine 101: every ball should be, try to return it, right? Every concern on a patient’s side, we should try to do something about, and at least help them understand what’s going on. So, again, Medicine 101: history and examination. When did the memory loss start? How is it progressing? Is it tipping into difficulty with day to day life, which would be in keeping with Alzheimer’s disease? In examination, do a memory test. Any memory test you’re familiar with, and that you’re happy with, is suitable. That could be as quick as giving them 3 words, having them draw a clock, and asking them the 3 words again. There is an idea in medicine, I think that’s probably proper, where we don’t have anything to do about Alzheimer’s disease. There’s, it’s a futility problem. There’s no disease-modifying medication. But there are things that we can do, and I think that really feeds into what we know about Alzheimer’s disease, which is that it’s massively underrecognized. But again, if we can just fight that sense of futility from the get-go, there are things that we can do. And one of those things is just having an open and frank conversation with the patients. That was Dr. David Weisman from Abington Neurological Associates. 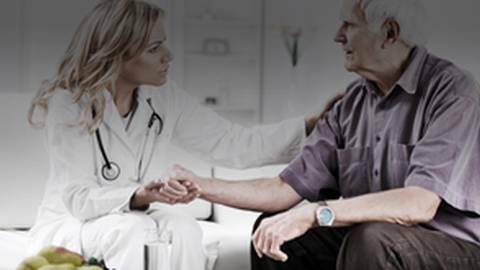 For access to continuing episodes of Alzheimer’s Disease: Towards Earlier Detection, visit our series page at ReachMD.com. Thanks for joining us. Dr. David Weisman from Abington Neurological Associates discusses expert approaches to recognizing the signs and symptoms for Alzheimer's disease. Dr. David Weisman, neurologist with Abington Neurological Associates and Director of Abington Neurologic Association's Trial Center, talks about expert approaches to recognizing the signs and symptoms for Alzheimer's disease.